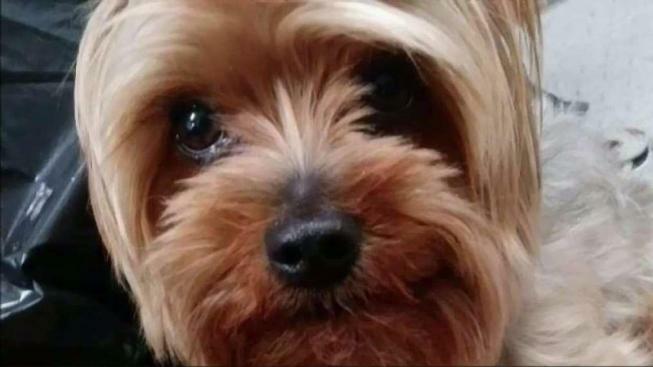 A beloved seven-year-old Yorkshire terrier went missing from an Oakland resident’s vehicle Sunday afternoon and the owner is convinced the dog was kidnapped. The dog named Biscuit, was in Melissa Smith’s parked car while she and her mother grabbed lunch at the Guadalajara Restaurant on Fruitvale Avenue when the Yorkie was taken. According to Smith she had left her dog Biscuit and Buttercup in the car for about 45 minutes and when she returned she saw one dog and assumed both were in the backseat. When she got to her next location she quickly realized Biscuit was gone and returned to the restaurant to look at surveillance video. Grainy surveillance videos show the driver of what seems to be a moving truck stand beside the car where Smith left Biscuit. Smith and Dominic Georges, a co-owner of the dog, have been putting up flyers in the neighborhood and are asking the community for help in getting their dog back. “The environment is not the same, he makes everything better,” said Smith.